Henderson, Nevada. She is the director of religious education at the parish, overseeing the faith formation of more than 1,100 young people and 125 teachers, catechists and youth leaders. Juliann and her husband Steve — both natives of the East Coast — are original members of St. Thomas More and through their involvement have watched it grow to more than 6,000 families. Specifically, Juliann began by volunteering as a catechist and later as a coordinator of sacrament programs before being hired on staff as religious education director. In her role, she often is the first person in the parish that young families approach about enrolling their children in religious education classes. 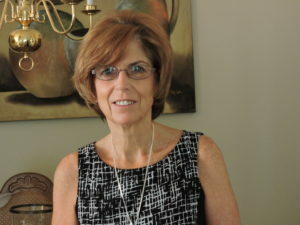 They also come to Juliann with more serious issues concerning their families and she connects them with the appropriate social services. Juliann made her connection to the Viatorians official in 2009 when she made her first commitment as a Viatorian associate, and she has re-affirmed that commitment two more times since then. Viatorians started the parish and continue to run it under the leadership of Fr. Mick Egan, CSV, pastor, and associate pastors Fr. 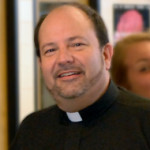 Mike Keliher, CSV, and Fr. Alan Syslo, CSV. But they all look to Juliann for her leadership and experience in leading the faith formation of the parish’s next generation of members.